Ready? Let’s go! 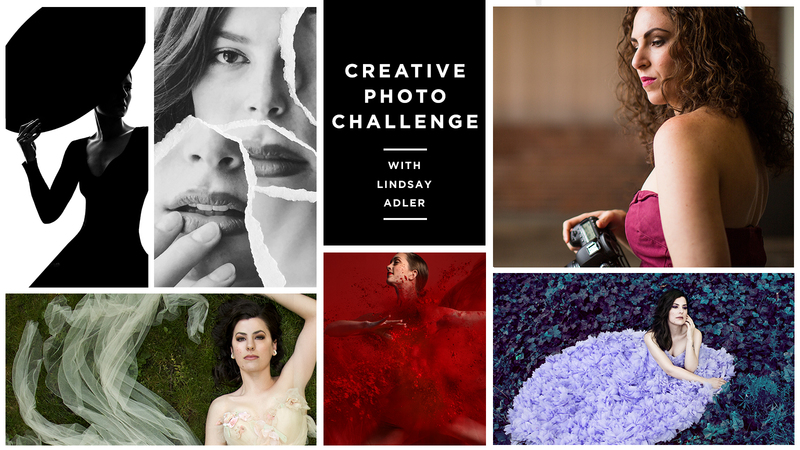 Lindsay Adler’s Creative Photo Challenge starts NOW! Let’s jump right in and get your hands dirty. By adding things like paint, flour or molasses to your portraits, you can add texture and color to create a photo that pops! In Challenge #1 – Make a Mess, Lindsay Adler will use one light and Holi Powder to create a portrait that exudes color and motion while making a mess on your set. “Your challenge is to make a mess! Make a glorious mess! Abandon control and order to get more creative and come up with something unexpected. Cover your subject in flour and make them dance. Play with glycerine, water, paint, feathers, anything! Just be sure to create beautiful chaos! 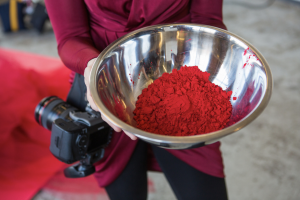 In this challenge, I chose to cover my subject in Red Holi powder to use color and movement to create a photograph with impact! The subject was lit with a single softbox on a red background and using a dress made out of tulle. We’d throw powder on the subject as she’d jump, and the mess was extensive, but I LOVE the results. My beautiful model Maddi ended up with powder in her ears and mouth (totally uncomfortable), but she said it was worth it! Lindsay Adler’s Creative Photo Challenge is entirely FREE. RSVP to start receiving challenges via email once a week from when you sign up. 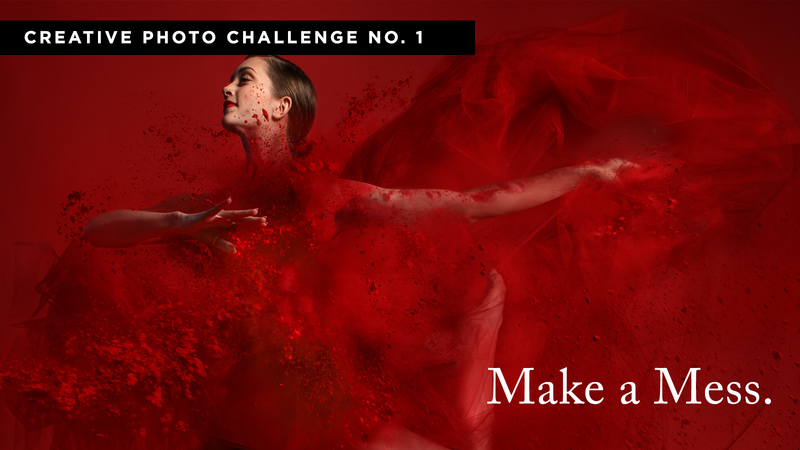 Upload your photos and tag it on Instagram, Facebook, Pinterest or Twitter using #creativephotochallenge. Have questions or want to check in with fellow photographers? Join the Creative Photo Challenge Facebook group. For the month of April and May we’ll be reviewing submissions via #creativephotochallenge and choosing the best representation of that week’s challenge. Winning photos will be featured on CreativeLive social feeds and will win one free Lindsay Adler class. At the end of the 10-week challenge one grand prize winner will be chosen based on participation, creativity, and execution and win a free year of CreativeLive’s Creator Pass and access to our entire 1,500 course catalog. Step outside of your routine, see the possibilities and discover what you love to capture!